A digital marketing veteran, Atul Hegde co-founded Rainmaker Ventures, with an aims to fund and wholly mentor start-ups. In a world where most funds only chase valuations, Atul believes that young start-ups and entrepreneurs must be nurtured and guided with an emphasis, on thorough mentoring. 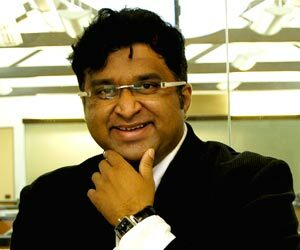 In his 20 year long career, Atul has worked across Advertising, Brand Identity Design and Digital Media Marketing. He has had highly successful stints at Euro RSCG and Vyas Giannetti Creative - both leading advertising agencies in the country. He has won prestigious awards at Cannes, Abbys, Effies, and IDMA and has launched India's 1st Digital Media Handbook in 2010. Atul was also recently awarded the top digital media professional in Asia.